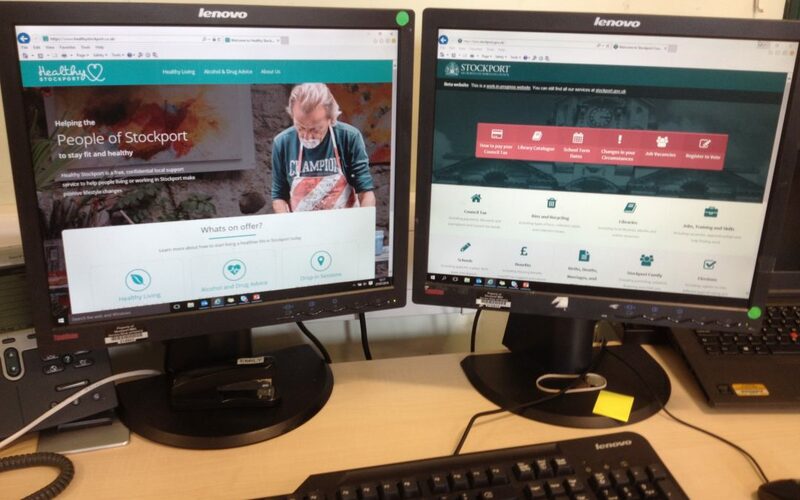 An exciting week for the Digital by Design programme with the start of ‘Release 2’ and the launch of both the new ‘Healthy Stockport’ website and the beta version of Stockport Council’s main website. We’ve come a long way in a relatively short space of time and we’re proud of both our new sites in their early forms. Whilst we still have a lot more work to do, we’re pushing out Comms now to encourage the public to check out these first pages and let us have their feedback. Small improvements will be made continuously and refined in response to the feedback we get back from the public with the intention of migrating the entire current website over to the new site during the autumn. There’s still plenty more in the pipeline for Release 2 with ‘My Account’, the new customer portal from the Digital Transactions Service expected soon. The vast majority of the work here is taking place out of sight designing new end-to-end automated digital transactions. The complex software being developed will ultimately enable our customers to sign in to multiple services with a single sign-in, transact online more quickly and receive automated feedback, making it even easier to pay, report and apply for things online. And we will be launching our staff ‘Single View’ dashboard, the tool which will offer staff combined information from different systems at their fingertips. Thanks to everyone for their involvement and commitment so far. Keep up the good work!